The Central Bank of Nigeria (CBN) says it is poised to develop and implement its cash-less policy. 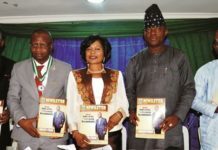 Mr Tunde Lemo, CBN Deputy Governor (Operations), made the promise in Lagos recently at a conference organised by the Businessday Newspapers. The conference had the theme: “Mobile Technology and the Future of Cash-less Initiative in Nigeria”. Lemo said that full implementation of the cashless policy would require the cooperation of other stakeholders in the financial sector to succeed. He said that the apex bank would ensure that the nation’s payment system improved and contributed to economic and social development. “The CBN, through the implementation of its cash-less policy, will be better equipped to effectively manage Nigeria’s monetary system. “A more effective payment system will boost efficiency and enthrone transparency for both the private and public sectors. “It will lead to increased consumer trust in our monetary system,” he said. Lemo said that the cash-less policy would complement CBN’s policies on interest and inflation management, legal tender issuance and monetary system management. He said the policy, when implemented nationwide, would also provide the much needed empowerment to small businesses, entrepreneurs and cooperatives. “Initially, people thought that the emergence of a cashless society is not attainable. “But, today, our society is voluntarily transiting into a cashless system. “ We are witnessing this transition in varying degrees from Europe to America, Asia, the Pacific Regions, Africa, Middle East and the world over,” Lemo said.